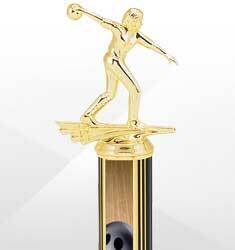 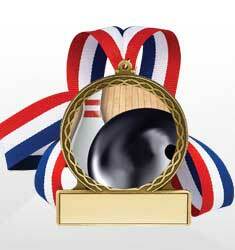 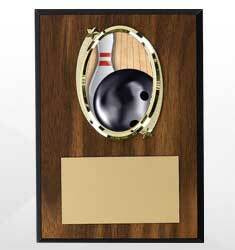 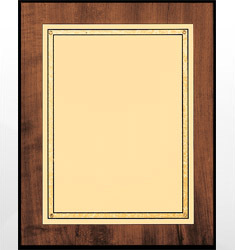 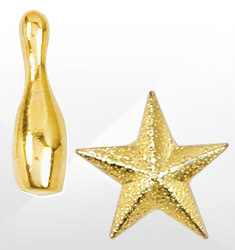 Dinn Trophy offers a wide variety of bowling awards to choose from. 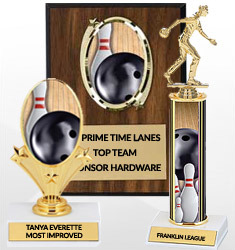 No matter the league, team, or tournament—ten pin or candlepin—we have a number of trophies, medals and plaques, and the like for any competition. 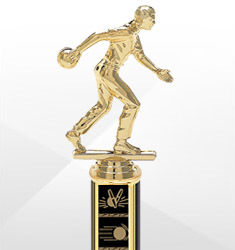 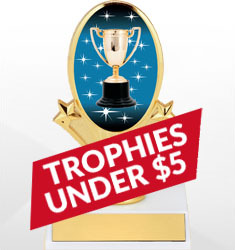 Award individuals or teams for any type of victory, championship, achievement, or recognition—free engraving—add up to 40 letters free depending on the award.